We’ll make your day a better one! At UniCafe we believe that student restaurant services conducted in a responsible and proficient way make your ordinary days healthier, smoother and better tasting. 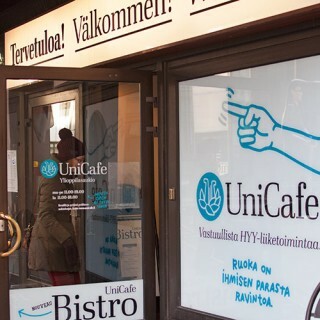 UniCafes function where the students are: at each campus of the University of Helsinki, without forgetting UniCafe Ylioppilasaukio at Kaivopiha, which is open also on evenings and Saturdays. Healthy lunches, refreshing beverages, delicious pastries and tasty snacks are enjoyed daily by over 20 000 customers at our restaurants. We offer only 100 % Finnish poultry. Dairy of Finland – the dairy products come from local farms. We do not serve endangered and overfished species of fish. In practice this means for instance preferring certified fish products and finnish fish, and not serving any species mentioned in WWF red list. We use Finnish breads from Finnish bakeries. Season’s vegetables, roots and salads of Finnish origin whenever available. Meat we offer is over 90 % locally produced and 100 % product safe. Comprehensive, first-rate and healthy lunch meals that follow the recommended principles of student meal programmes in higher education by the Social Insurance Institution of Finland (Kela) and the National Nutrition Council. This will guarantee our student customers the government subsidy for their lunch. Start your day with a hefty breakfast! Breakfast is served on weekdays in these UniCafes: Chemicum, Meilahti, Metsätalo, Porthania, Päärakennus, Rotunda, Ruskeasuo and Viikuna. Lunchtime is not limited to midday. UniCafe Ylioppilasaukio serves until 19.00. On Saturdays you’ll get to enjoy student lunch at UniCafe Ylioppilasaukio from 11.30 until 18.00. All UniCafes offer coffee house delicacies. The tasty, ordinary day meeting places can be found at the UniCafes of UniCafe Biokeskus, Porthania and Päärakennus. Cafe Portaali at Porthania is the student dedicated meeting and gathering place. On top of the student meals Portaali offers a good variety of Fair Trade and organic products, not forgetting other coffee house pleasures. The Bookstore-coffee house Gaudeamus Kirja & Kahvi is open also on Saturdays. 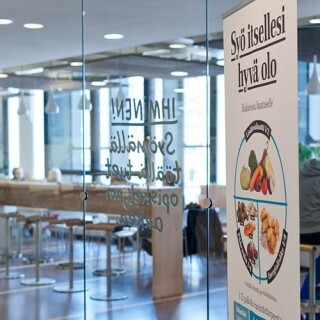 The student restaurants of HYY Ravintolat are part of HYY Group, which is owned by the Student Union of the University of Helsinki. Thus, the voices of students are heard in the development of the restaurant operations. In order to improve we ask for daily feedback of the issues that need development as well as accomplishments. 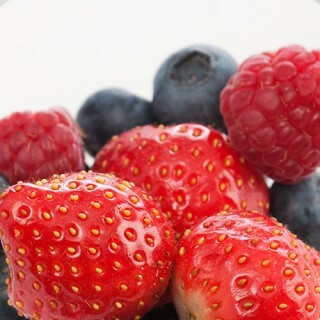 You may give feedback directly in the restaurants and through the lunch menus of each restaurant on this website. The yearly conducted customer satisfaction survey is not collecting dust in the archives. Self-slicing bread, more diverse assortment of salads, larger usage of each season’s raw materials and theme weeks are examples of changes based on customer feedback. Almost last, but not least by any means: we truly work with a purpose – a better tomorrow for students. The Board of HYY Ravintolat consists of HYYers; students are also decision makers in the restaurant business and the way it is conducted. The key deposits and transcript fees of the University of Helsinki can be paid at UniCafes. The night use key deposit cost is 25 eur. From October 3, 2016 onwards, the Helsinki University students’ night use key deposit payments and key handling is managed by Gaudeamus Kirja & Kahvi coffee house within its opening hours. Upon receipt of the filled out required form and the payment, the student will receive a key from the coffee house cashier. When returning the key, the student first has to fill out an electronic form and wait for a reply from the university. In order to get back the deposit amount, the student needs to show the Gaudeamus Kirja & Kahvi cashier the reply message from the university. Detailed instructions can be found on the Helsinki University website. Additionally, UniCafe Meilahti manages the deposit payments for the Meilahti campus. Please note that UniCafe Meilahti takes care of the payments only – the key needs to be picked up from the university doorman in exchange for the receipt. Transcript fees of the University of Helsinki can be paid at UniCafes by debit/credit cards or cash. You can pay several transcripts with the same payment. With the receipt of payment you will obtain the transcript at the campus service points in the student services of the University of Helsinki.